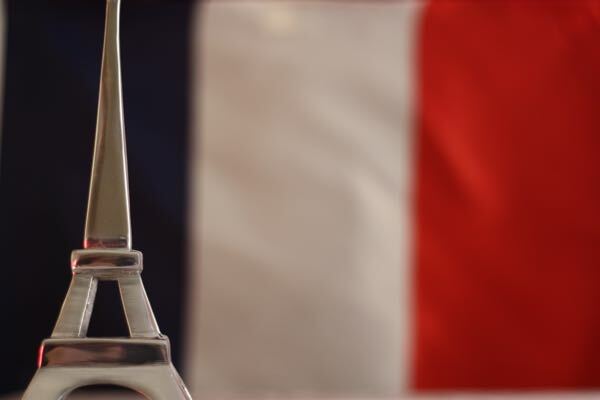 I had it planned to a T. I’d spent countless hours figuring out my itinerary for my upcoming June trip to France with flights booked and accommodations arranged. And then it happened. 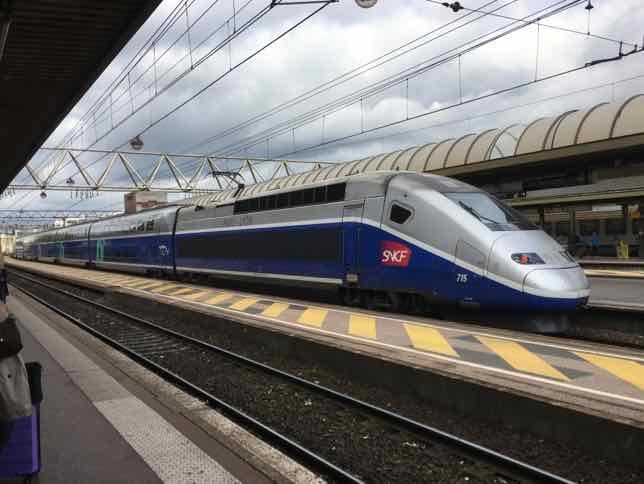 The French rail union announced a national strike. Sadly, strikes are a way of life in France. They happen constantly. As required by French law, the union had to publish when they would be striking and they indicated the specific dates (April 3 to June 28, 2018). As luck would have it, on the day I planned to arrive, some trains would be cancelled. What was I to do? 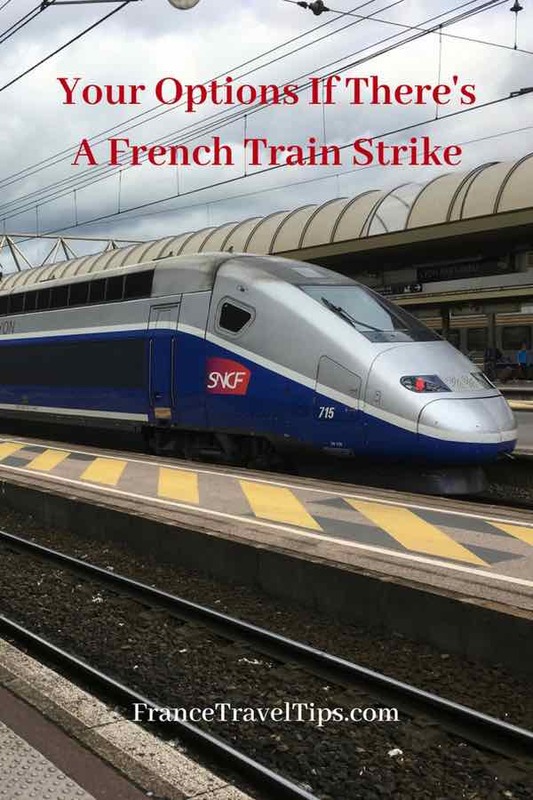 In this post I’ll share with you the research I did and show you some options if there’s a French train strike during your trip. French law dictates that unions must give 5 days advanced notice of a strike. 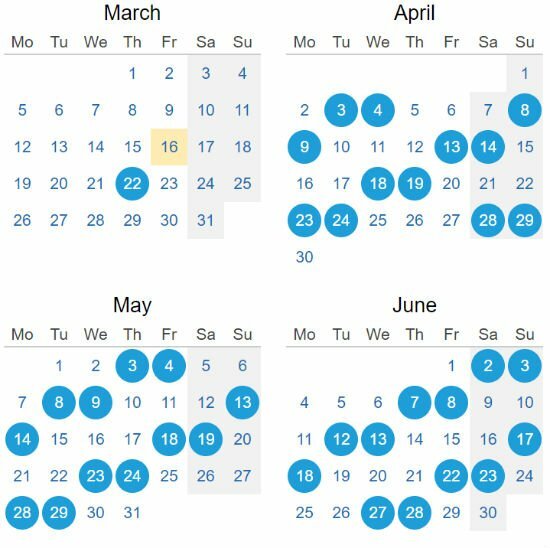 For this strike in the Spring, a calendar was issued that showed all the dates in April, May and June. It was basically every 5 days there will be 3 days of strikes and it only applies to some trains, not all of them. Certainly future strike dates may be called off, but that’s up to the union. In my research I learned that individual workers can also “strike” and don’t have to notify the government. They just have to call in to their manager the day before. The problem with this is that a scheduled train might have to be cancelled if they don’t have enough workers. So even if you think you’re OK, you might not be. You won’t find out until 5:00 pm the night before. I know this sound pessimistic, but I want to lay out all the risks. 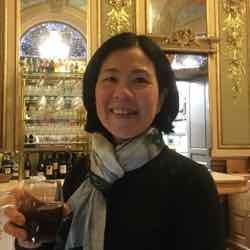 My original itinerary was to fly to Lyon and then travel by train from the airport to Saint Charles station in Marseille which was only a few blocks away from the Airbnb I was renting. I chose that particular Airbnb because it was near the train station. The perfect plan where no car would be needed for a few days. Dilemma: How Would I Get To Marseille? While June 28 was a strike day there was a chance the train I’d choose would not be one of those chosen; however, there was still a risk that my train could be cancelled but I wouldn’t know until the night before. I hate uncertainty when it comes to travel. 1. Take a chance the strike will end before the day I’d need to take the train. Too risky. This strike doesn’t look good. 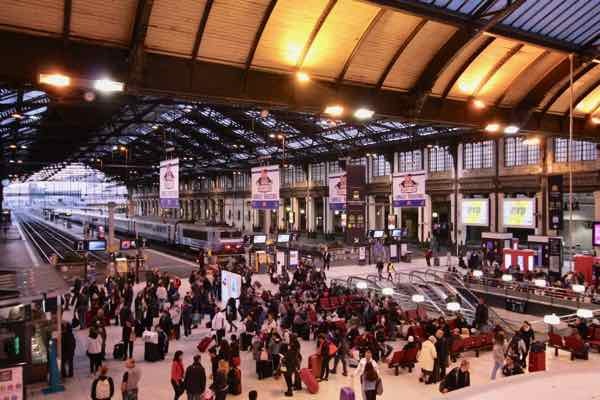 The union is protesting President Emmanuel Macron’s plan to reform the employment plans of its workers which he is doing so the rail company can be more competitive. After 8 weeks, the strike is still on. How long would I have to wait? Would I even get on the next train? I wouldn’t be the only one inconvenienced. I can just imagine the crowds and chaos. I looked into a number of bus lines (ouisbus.com, flixbus.com, https://www.isilines.com, https://www.eurolines.eu/ ) for a bus that would leave from the Lyon airport. There were a number of options. Some with one stop, some with two stops. The one that coordinated with my arrival time meant that I would first have to wait for a few hours and then I’d travel first to the centre of Lyon and then on to Marseille. This became even more unappealing when I discovered that the ride would take 7-1/2 hours!! Forget it! Blablacar is a ride sharing platform much like Uber, except one can go from one city to another. The downside is that you won’t know until at least 2 weeks before whether there might be any rides. And, the driver may not be going exactly where you want. The app shows all final destinations but even if you put “Marseille” in, other towns are shown. Your ride also might not leave when you want, so you might be waiting a long time to be picked up. You can put on an alert to be notified of possible rides, but you might not find out until too close to your date. This was too risky for me. I did not want to wait too long for a ride (after having flown from Canada) and i didn’t want the trip to take a long time. There is NO app if you live in Canada. The only way to interact with the platform is to go on their UK website ( https://m.blablacar.co.uk/ ) or their French website which is only in French. It is not possible to choose your language and currency separately. If you use their UK site, you’ll pay in pounds (GBP) by default. Think about it: you’re in France, charged Euros, but the price is converted to pounds. And because you live in Canada or the US, that charge is THEN converted into dollars. Imagine the amount of money you’re losing due to the numerous exchange rates. The first available direct flight was 8.5 hours after I arrived and that was with “Hop!” (a discount airline that is part of Air France). It wasn’t cheap ($290). I didn’t want to waste a whole day waiting for my flight or taking a flight with a stopover. Added to that, I would not fly via Air France. Why? They, too, have decided to strike and since early April have chosen a few days to strike so I decided I wouldn’t take a chance. I seriously thought about this but then decided not to. There were just too many factors against this option. I would have jet lag and the drive would take a minimum of 3.5 hours. There would be the cost of the added car rental, gas, tolls and parking. I looked into the cost of parking and it wasn’t cheap (50 Euros) and I didn’t even need a car in Marseille! I calculated that the total cost would be about $175 more than taking the train. I really didn’t want the hassle of arriving in Marseille and trying to find the parking garage. I’ve driven in Marseille and hated it! So after considering taking another train, a bus, Blablacar, or renting a car, I decided on a REVISED itinerary. I cancelled my Airbnb in Marseille and decided I would not visit the city or see the Calanques. I had been to Marseille before so it wasn’t a loss and I’d just have to hike in the Calanques another time. Just as well. I have read that many of the trails are closed in the summer due to the high risk of forest fires. The cost to cancel the Airbnb was only $33 and it was worth it. So where would I go? I have decided to pick up a car when I arrive in Lyon and drive to Vallon Pont d’Arc, which is located in the Ardèche. The drive is about 2 3/4 hours but when I arrive at my hotel, I don’t have to worry about parking and the location is perfect for me to explore an area which is new to me. The area has lots of hiking and many gorges. I chose Vallon Pont d’Arc because I really want to see “Pont d’Arc” which is a large natural bridge. It’s photographed frequently and a popular destination for those who want to kayak or swim. [If all goes well I’ll be doing this and writing about it]. Even with the added car rental, gas, and tolls, it is still cheaper than driving to Marseille. Having now changed my plans and booked my hotel and car, I feel very happy with my decision. No more uncertainty. That is, unless the French rail union decides to extend their strike. After being in the Ardèche for 3 nights and a week in Provence, I am planning to take the train from Avignon to Paris where I’ll continue my journey with another rental car to Normandy to see Étretat. You’ve likely heard of the white cliffs of Dover? This is France’s version: impressive white cliffs overlooking the English Channel. And what happens if the strike affects my plans? 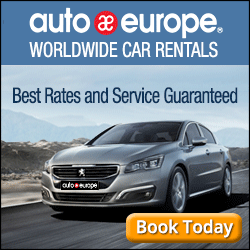 I hope I can extend my car rental booking and instead of dropping it off in Avignon, simply drop it off in Paris. I considered driving from Provence to Normandy initially, but the drive would take 9 hours and cost $235 in gas/tolls. Even with a one night stop this is just too much ground to cover. Taking the train would be cheaper and easier….or so I hope. I hope these options help you out if there’s a French rail strike when you plan to travel to France. I’ll keep you posted on how I make out. 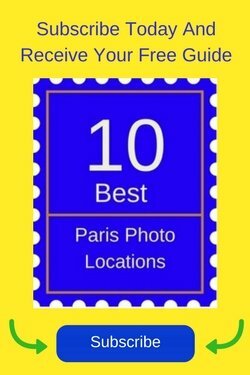 If you’re interested in driving through France, be sure to check out my other posts: Traffic Tickets in France, Using Toll Lanes In France, Driving Through Brittany For 6 Days, and Enjoying Leisurely Drives Through France. Too bad you won’t get to the calanques this year but they’ll still be there in the future! Thanks. It’s definitely on my list!